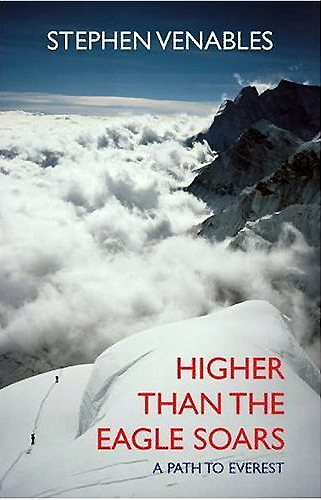 Higher Than The Eagle Soars is a well written and candid autobiography from one of Britain's best known mountaineers. High and wild places have dominated Stephen Venables life and now he has written a full autobiography which explores how and why he became a mountaineer. At its climax he revisits his dramatic success without oxygen on the Kangshung Face of Everest, described by Reinhold Messner as the most adventurous in Everest's history and by Lord Huntof the most remarkable ordeals from which men or women have returned alive. As Stephen writes:Although we didn't go seeking a near-death experience, it did turn out that way.